Hawthorne, CA is one of the communities closest to the Los Angeles airport, and so it is the choice for many to stay overnight and rest before they see the areas along the coast. If you are passing through here and suddenly run into dental pain that looks like it could change your plans, Emergency Dentists USA is the perfect hotline to locate a 24 hour dentist Hawthorne CA and get rid of your pain quickly. We have collected a list of way above par dentists who will provide walk in services when you are most in need. If your California stay is getting more hectic by the moment and you can’t reach any of the dentists on this list, we have a great hotline that will provide a referral service for you to find a Hawthorne emergency dentist to get you feeling better right away. Our emergency dental hotline is active 24 hours a day and 7 days a week, so you can heal what ails you and soon be back enjoying the beach or the shopping mall. These dentists are vetted by Emergency Dentists USA, and this stamp of approval will provide you peace of mind when looking for a walk in or night dentist. This community that is comfortably nestled south of the Century Freeway and is the gateway to beaches like Redondo is a popular destination because of it’s climate and proximity to Los Angeles. You’ll feel a definite air of excitement if you have been cooped up in winter weather and arrive here after getting your bags and rental car from LAX. We have compiled a list of emergency and urgent care dentist practices that can accommodate you if you are quickly hit with tooth pain or need an emergency extraction. If you don’t connect with any of these immediately, don’t hesitate to call our 7 day a week, 24 hour a day hotline! Description: If what you need is a dentist open on Sunday or something dreadful happens to one of your children and you are seeking an after hours dental clinic, this hotline is there to help quickly guide you. We can really bring some ease to your mind when you’re scrambling to find a dentist open late and you just don’t feel like wasting any more time. We are proud to maintain a network of dentists across the nation that can be there for you if pain gets a hold of you in the middle of the night. Description:Fillings, root canals, implants, and extractions can all be performed with expertise here by the talented man who is the team dentist for the Los Angeles Galaxy. Ray is actually a lecturer at the UCLA School Of Dentistry, and is also an expert on cosmetic trauma treatment. There are many choices and options when looking for a dentist, and Ray is always going to provide the best care within his grade a ability and skill set. Description:Not just a location for a smile makeover, but also a great choice for a walk in dentist, Hawthorne Dental provides a holistic approach and is a first rate choice if you or anyone in your family encounters dental difficulty over your stay. Even surfing, rollerblading, and skateboarding accidents can harm your teeth, and those are many of the action sports that residents of lovely California towns participate in. 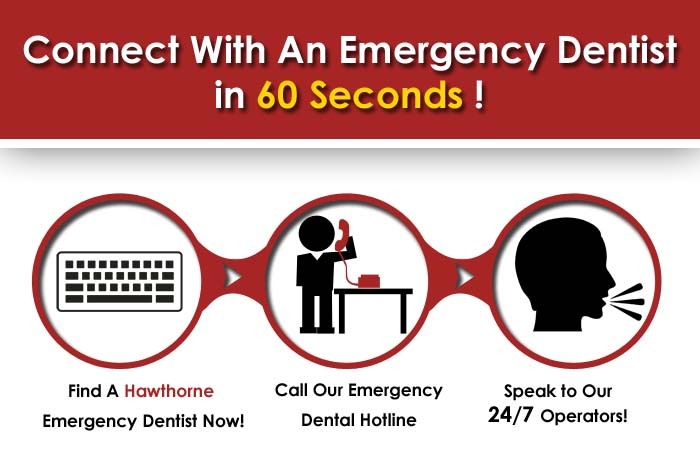 It’s true that 99% of emergency room visits for dental reasons could have been handled for a fraction of the cost at an emergency clinic, and an organization such as Hawthorne Dental Care is knowledgeable enough to help you. Description:This state of the art equipped practice is a great choice while in Hawthorne that prides themselves in always looking after the well being of their patients with a promise to keep them happy. Broken crowns, sudden tooth injuries, even falls from gymnastics activities can quickly give you the need to find a good dentist for a weekend dental emergency. 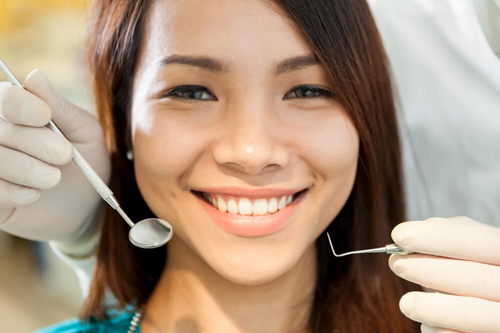 Dentists know that they really have to provide stellar care to earn your business, and this practice in Hawthorne will make you confident that you made the right choice for your dental emergency needs. A wonderfully warm climate and home to workplaces like the innovative and cutting edge Tesla Motors, Hawthorne is a true snapshot of what California living (or visiting) is all about. We’d love to be the ones to link you up with a emergency dentist in Hawthorne CA . If you want to look further into state reports and official opinions about the dentist you choose before you go, you can visit The California Dental Association.